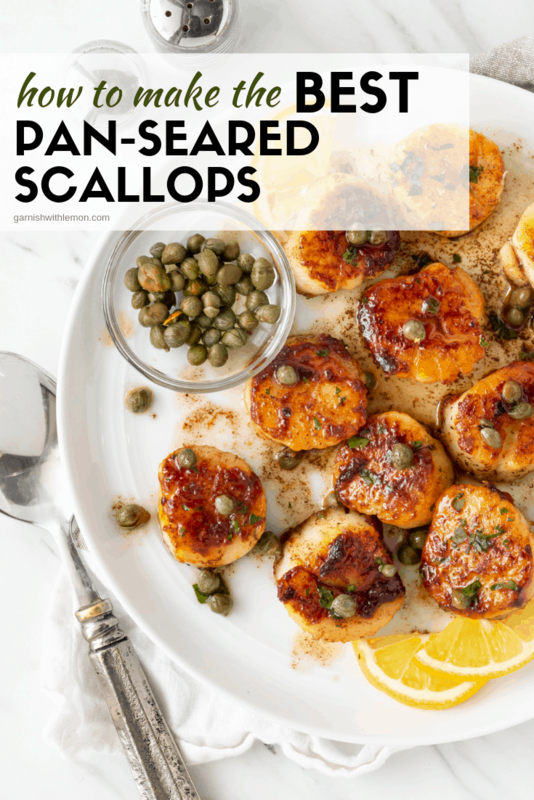 Scared to make scallops at home? Don’t be! 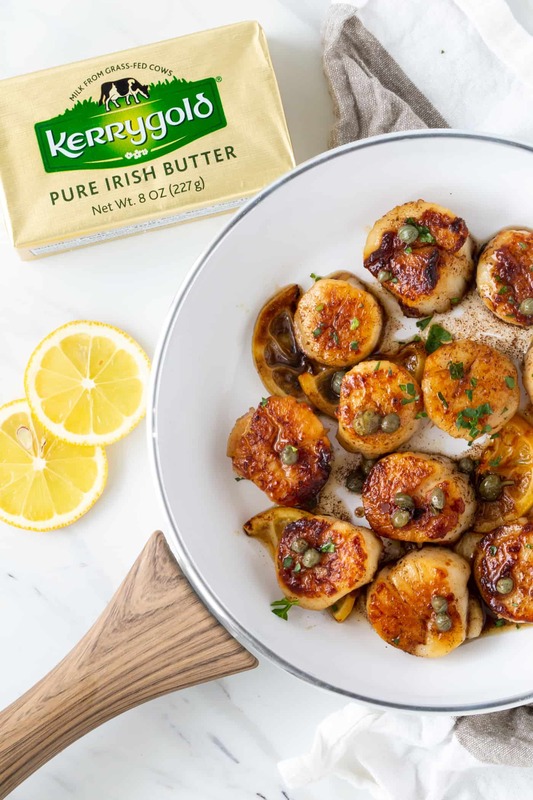 Follow these easy steps for How to Make the Best Pan Seared Scallops with a Brown Butter Lemon Caper Sauce! Scallops are one of my favorite seafood dishes, and I used to save the splurge only for restaurants. But after several failed attempts at making perfect Pan-Seared Scallops at home, I finally mastered it. And you know what’s crazy? They have to be one of THE easiest things to make as long as you follow a few simple steps. Trust me; you can totally do this. 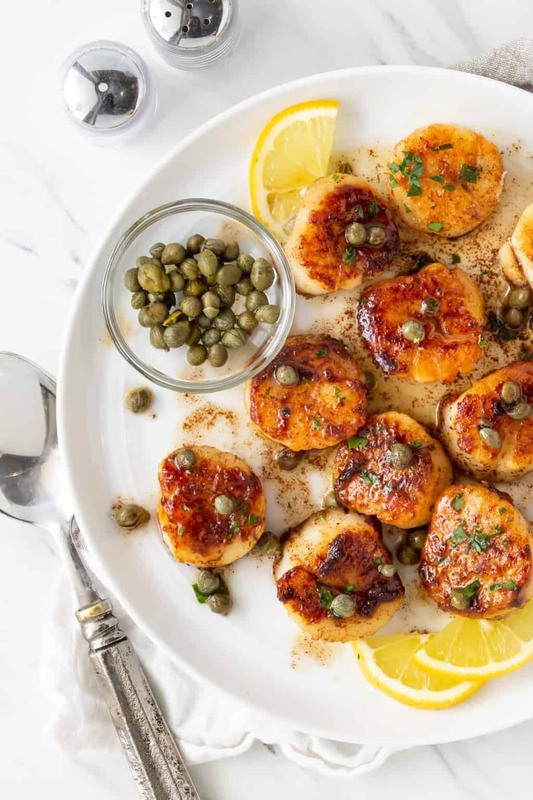 How to make the BEST Pan Seared Scallops. Start with DRY scallops. I mean, really dry. Scallops hold a ton of excess water, and if you don’t get it all out, you will end up with a watery mess in your skillet. Pat them dry with paper towels. And when I think they are dry enough, pat them one more time just to be sure. If you rush this step, you will end up with scallops that won’t caramelize. (I’ve done this more times than I would care to admit.) And when you are shelling out the money for scallops, you want to make it worth your while. You need a smoking hot skillet. Literally. Add your scallops to your smoking hot oil, but don’t let them touch each other as they need room to let moisture escape. Otherwise, you will have steamed scallops. And steamed scallops don’t make anyone happy. Let them caramelize for 2 minutes, flip them and sear them for another 2 minutes. The result? Gorgeous caramel color that is essential for restaurant-quality, pan seared scallops. See how easy it is? Not only is it easy, but it’s super fast, too. Add a veg, a salad and a bottle of wine, and you have the perfect meal without having to leave the house! Looking to get more seafood in your menu? Here are some of our favorites! 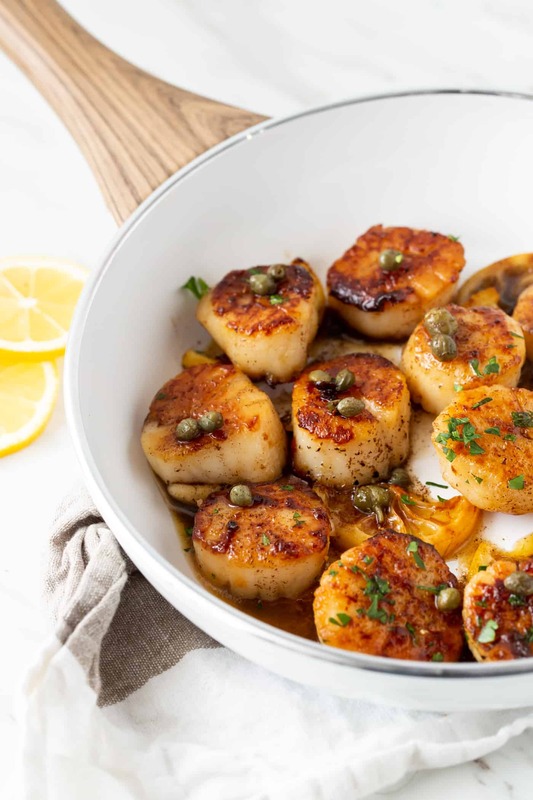 Restaurant quality scallops are easy when you follow these simple steps to get the Best Pan Seared Scallops. Melt the butter in a small sauce pan and simmer until butter is brown, being careful to not burn it. Swirl the pans a few times as it simmers. Once butter is brown, remove pan from heat and squeeze lemon juice in and stir. Add capers, stir and set aside. Pat dry the scallops with paper towels. Make sure they are really dry before you begin heating your skillet. Season the scallops with salt and pepper. Add the olive oil to a stainless steel skillet or cast iron pan over high heat and heat until smoking. Add scallops to skillet and make sure they don't touch. Sear for 2 minutes and flip over. Sear for additional 2 minutes or until opaque. Serve immediately with brown butter sauce and fresh lemon slices. And now I know what to make for Valentine’s Day! I love all your tips, I definitely needed them as scallops is not something I am accustomed to making. Your family will love them, Tanya! How easy and delicious is that!! Thanks for posting! Nothing better than meals that are so easy and still taste great! I’m all for making Valentine’s Day dinner at home! and these scallops feel like a great addition to the menu! thanks for sharing, Lisa! Definite win on both accounts! Cannot remember the last time I ate scallops. Thanks for reminding me all the deliciousness that I have been missing out on! Scallops are always a great treat! I forget about how easy they are! We made these when we were in Florida for Spring Break and they were perfect. Bought some scallops at Costco over the weekend and will see how they turn out tonight. Thanks!